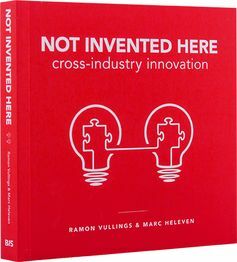 Vullings and Heleven urge businesses to overcome the “Not invented here” attitude that limits their innovation efforts. There is new untapped ground in other industries. Whereas a “copy and paste” approach will not work in most cases, a “copy and adapt” approach may lead a big step forward. This book is highly inspiring. Since inspiration alone is not enough, the authors also provide a range of helpful tools like tips for an innovative web search or a cross-industry transfer map and more. You can preview and download templates for some of them on the books website. Besides being inspiring, the book is well structured, actionable and great to read. It is a highly recommended reading for all those who want to learn how to get beyond the traditional approach to innovation for their business. Besides that the book provides valuable ideas for startups and entrepreneurs.